Find lots of storage space while keeping a small footprint in this drawer chest. 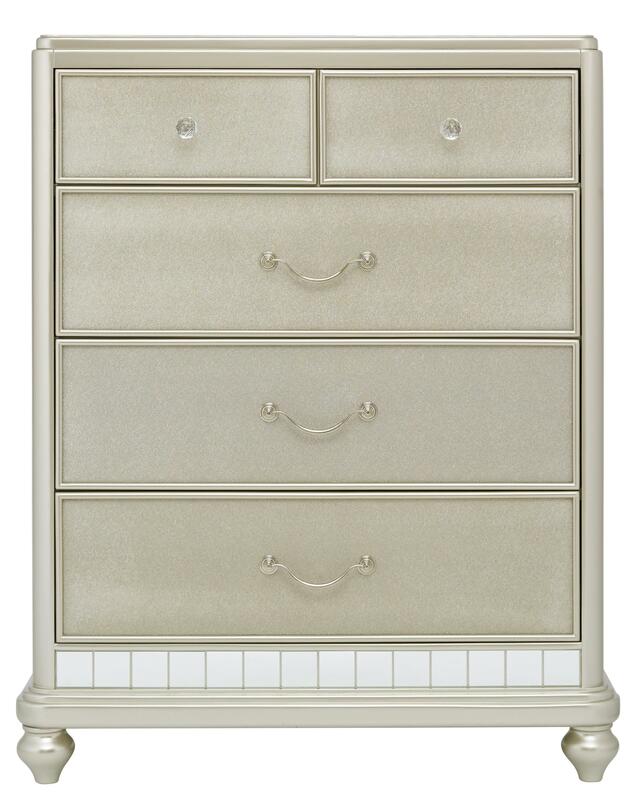 Simply stunning, the chest features rounded corners, mirrored paneling and bun feet. 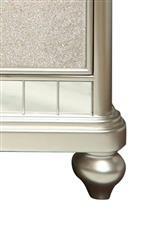 The chest has five drawers with elegant , eye catching hardware. The Lil Diva Tall Drawer Chest w/ Mirror Paneling by Samuel Lawrence at Miskelly Furniture in the Jackson, Pearl, Madison, Ridgeland, Flowood Mississippi area. Product availability may vary. Contact us for the most current availability on this product. Let her shine with this glamorous Lil Diva bedroom collection. 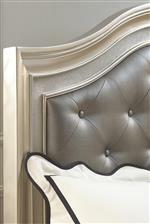 Stylish features include button tufting, bun feet and mirrored panelling. The collection gives you a variety of storage options and a vanity/desk to customize her room to her lifestyle. The Lil Diva collection is a great option if you are looking for Transitional furniture in the Jackson, Pearl, Madison, Ridgeland, Flowood Mississippi area. Browse other items in the Lil Diva collection from Miskelly Furniture in the Jackson, Pearl, Madison, Ridgeland, Flowood Mississippi area.